Cliff was suing the broadcaster for R25 million for damages and defamation or be reinstated as an Idols SA judge. Judge Caroline Nicholls made clear prior her order made clear that the case was on contracts and not racism or free speech. The court ordered that M-Net also pay costs. Speaking outside court Cliff said further details will be provided at a press conference on Saturday after the judgment is studied. Cliff was axed from the show earlier this month after he made comments on Twitter regarding the Penny Sparrow saga. Sparrow, a KwaZulu-Natal south coast realtor, had over the holidays, likened black Durban beachgoers to “monkeys”. “M-Net thanks Cliff for the critical role he has played in seeking out and developing new talent over the years and for contributing to the success of the show to date,” the channel said in a statement. Cliff joined the talent search contest in 2005 during its third season. This comes after Cliff’s comments on Twitter regarding the Penny Sparrow saga earlier in the week. He tweeted that people clearly did not understand free speech. His comments were met with much criticism from Twitter users, some of whom accused him of condoning Sparrow’s racist comments. Cliff later apologised for the tweet. A week later, reports surfaced saying Cliff was suing M-Net for R25 million. Cliff is suing the broadcaster to court for wrongful dismissal and defamation, either the channel reinstates him or pays R25 million. 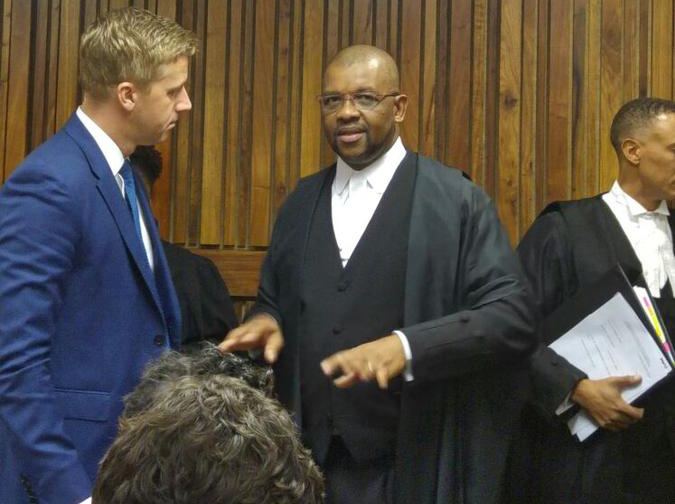 The defamation of character case kicked off in the High Court in Johannesburg on Tuesday. This is where Cliff’s legal team headed by Advocate Dali Mpofu was expected to focus on Cliff’s right to free speech. “We will be going to court on Tuesday, the 26th,” said Eric Mabuza who is part of his legal team. It was mutually agreed that Cliff is not a racist, the High Court in Johannesburg heard on Tuesday. EFF chairperson Advocate Dali Mpofu, for Cliff, began proceedings by making it clear that Cliff was not a racist, adding that this matter was about the enforcement of contractual rights, Constitutional right and rights to equality. He then pointed to e-mails exchanged between Cliff and M-Net regarding arrangements that had already been made for the 2016 season of Idols SA. In December Cliff had received e-mails regarding the new season dates and that his new contract would be sent to him. In a fourth e-mail received in this regard, Cliff was informed of a 6% increase. Mpofu said it was possible that M-Net and Cliff would have agreed upon the this. Cliff had responded to a poll on Twitter, on whether racist social media posts be criminalised. He tweeted that: “People don’t understand free speech at all”, and then later apologised. He is suing the broadcaster for R25 million for damages and defamation if he is not reinstated as an Idols SA judge and wants auditions to the this effect be halted in the interim. “In a nutshell, what we have here is a situation where there is an egregious violation… there can be no other fair and just outcome, to tell the respondent that when you conclude agreements you must stick to them. “Now the truth has come out that all they were protecting was commercial and business interest,” Mpofu said of M-Net. But in the public announcement, however, they stated how “hurt they were”, he added. “We want to be there on Friday,” Mpofu said of Idols first auditions which are set to take place in Durban on Saturday.